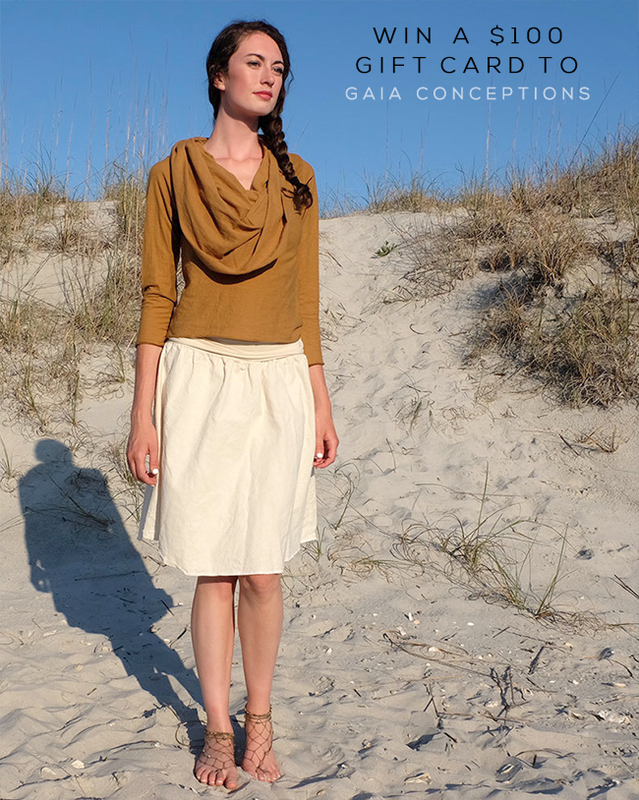 Back in the spring, we teamed up with long time Bubby and Bean sponsor Gaia Conceptions for a $100 gift card giveaway to their gorgeous online shop, which features some of the most stunning eco-friendly clothing that we've ever seen. We'd partnered with them for several other giveaways over the years too, but this seemed to be our reader favorite - by far. Because of that, we decided to do it again for the summer! 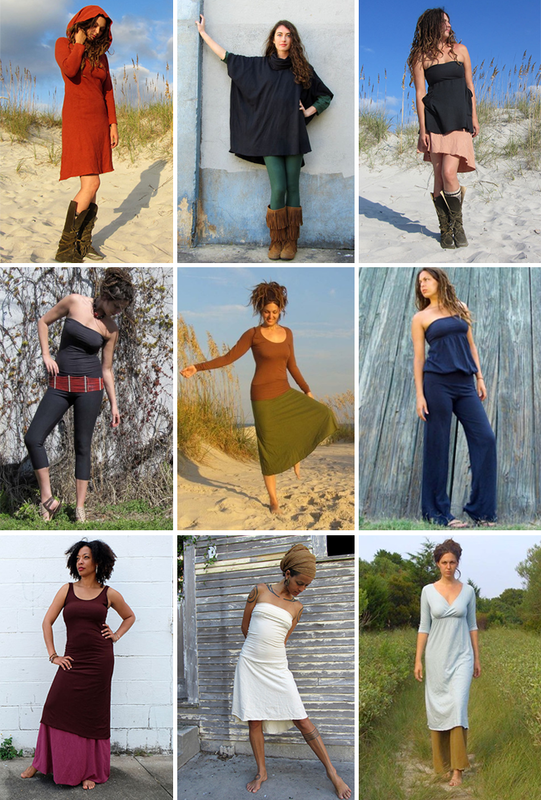 One lucky Bubby and Bean reader is going to get $100 to spend at Gaia Conceptions, where you can pick from hundreds of styles of beautifully handmade, sustainable clothing custom created to your size, color choice, and fabric selection. Yay! This giveaway will run through July 31, 2015 and is open to Bubby and Bean readers worldwide. All entries from the Rafflecopter form above and Instagram will be combined. A winner will be randomly chosen via Random.org shortly after the end of the giveaway, and will be announced here the week of August 2nd. Thanks again to Andrea and friends over at Gaia Conceptions for giving our readers the chance to win another gift card to their shop! Good luck! UPDATE: Congrats to Martine Aiyana! Please email us at bubbyandbean @ gmail.com to claim your prize. I love this: http://www.gaiaconceptions.com/belted-below-knee-cardigan/ So pretty. Like the perfect pockets below kneee dress. Love the long fountain dress and skirted leggings!! it honestly would take me forever to choose my favorite! I like the Anoki Short Skirt! Love the wide variety of colors. I like the butterfly Long dress! I love the Chuba Long dress!! SO PRETTY :) would love to win! The Simplicity Fleece Gauchos are my favourite. I like the Bell Sleeve Shirt! I love the mullet short skirt! I want the green butterfly leggings. i just adore the short apron wrap. heart eyes for sure!! I love the Chuba Long Dress. OMG. luv http://www.gaiaconceptions.com/belted-below-knee-cardigan/ Divine. Wow, prize $100 gc is fab. & splendid. 2 fingers snap. It is tight, fly & off the chain. Thank you for the awesomeness, the contest, and generosity. :) Pick me, pick me! Perfect for my aunt's big BD gift. I absolutely love the apron wrap below the knee dress, it's perfect for these hot, humid days here in Chicago! The cocoon pants are calling me! With a c-section in my near future, they look like just the thing! Heirloom knee length blockprint dress is divine!!! Such gorgeous designs! LOVE the Built in Bra Tank Wanderer Below Knee Dress! Great giveaway ! , I really like the Radha Fountain Short Dress in white, I find it beautiful !